Not too long ago, AT&T released the Android 5.1.1 Lollipop update for the Samsung Galaxy S6 and Galaxy S6 Edge, and it seems the carrier is working on more devices. 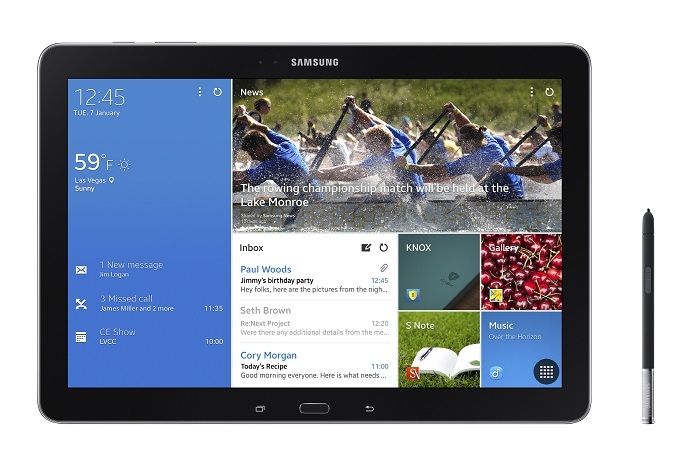 The carrier is now rolling out the Android 5.1.1 Lollipop for the Galaxy Note Pro 12.2 as well. The tablet upgraded directly from Android KitKat so the proud owners of the device will get all the new features, enhancements and interface which was introduced with Android Lollipop. The firmware version is bumped to P907AUCU1BOH3 with the update being sized at over a 1GB so make sure you’re connected to a WiFi network before you commence downloading. The update also removes three apps, including Beats Music, WatchON and Famigo kids, while Amazon Shopping is added to the list of apps. The update is rolling out as we speak over-the-air, but it may take some time to reach all devices. So, don’t panic if you don’t get it right away. Alternatively, you can check for the update manually if you don’t want to wait for the OTA. Let us know if you’ve received the update as well as your opinion about the update.